Of course there are plenty of buyers who want it all and still want to get a bargain, but in today’s market they are out of luck. Now consider the current condition of your home. Try to be objective. It might be best to get the opinion of a friend who will be honest with you. Is your home almost perfect – great condition and up-to-date? Maybe everything is great except your carpets are looking worn. If that’s the case, it may make sense to replace those carpets and work toward getting top dollar for your home. ​Paint wall paneling a light color.​ Wood paneling was big in the 1960’s and 1970’s but not since then. Don’t bother tearing the paneling down, just paint over it! 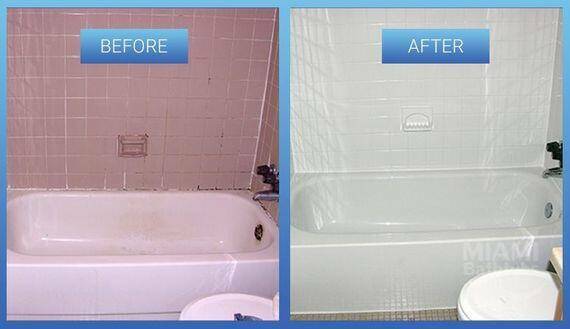 Consider painting your Grout. 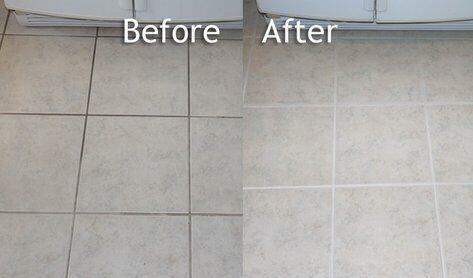 The 12 inch square floor tiles that were standard 15+ years ago have now been replaced with larger 18 inch tiles. Those 12 inch tiles will date the house and if you have dark grout the size of the tile will be much more obvious. An easy solution is to paint the grout. It’s easy to do, inexpensive, and you can order it in any color. We’ve recently used this paint/sealer in our condo lobbies and we had people asking if we put down new floors! ​Paint the Kitchen Cabinets: When it comes to selling a home, your kitchen is one of the most important considerations. 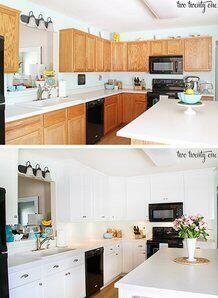 Oak and pine cabinets are not popular anymore, so if that’s what you have consider painting them. Although it only has an average review of 3 stars, we’ve used this Valspar cabinet paint from Lowes many times with great results. Unless your cabinets are super glossy you shouldn’t even need to sand. Another easy and inexpensive way to update your kitchen is to change (or add) cabinet handles and drawer pulls. Ornate handles and shiny brass handles are out and sleek styles are in. Just the handle gave the cabinets an updated look below. 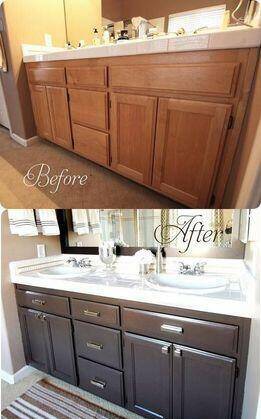 The photo below shows the incredible transformation you can make with just paint and hardware! The same advice applies to bathroom cabinets. Paint and add new handles. 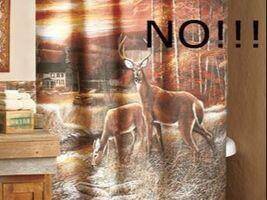 And an even easier way to make your bathroom more attractive to buyers is to change the shower curtain. 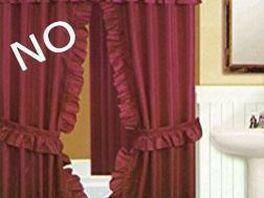 Stay away from layered shower curtains with a valance or anything that tries to make a statement. Instead go for a curtain with a subtle pattern in light colors. 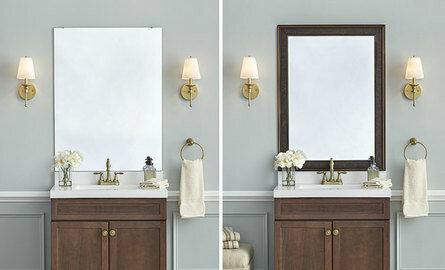 Mirrors and light fixtures are other easy bathroom upgrades. Medicine cabinets over the bathroom vanity are out of style as well as large plain mirrors with no frames. Choose a framed mirror for an updated look. Don’t spend $100+ on a mirror from a home improvement store, instead try a discount store like Kirklands. You can find a great-looking contemporary mirror for under $30! 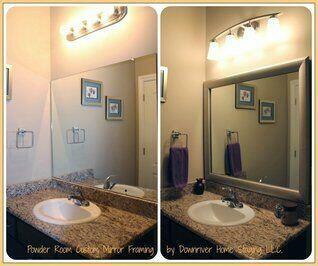 You should also be able to find a vanity light fixture at Home Depot or Amazon for under $100. I know some of you out there have bathrooms that need more than just a little bit of help. Perhaps you still have pink, blue or green tile from the 1950’s, 60’s & 70’s. Check out this blog post for ways to decorate around the color – you just need a little imagination! And if that won’t work consider reglazing the tile. Having tile professionally reglazed isn’t cheap, but it’s a lot cheaper than re-tiling and replacing. 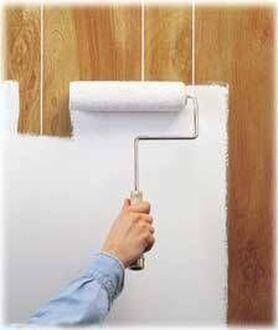 You can also try to do the refinishing yourself but the really good products that professionals use are not available to the general public. Take a look at other fixtures and hardware throughout the house. Consider replacing dated dining room and hall light fixtures. Don’t try to make a statement; your taste might not match that of your prospective buyers. Choose something classic and inexpensive. Also, something as simple as door handles can make a difference. Even old doors are inexpensive to replace. You can get hollow panel doors for between $25-$30 each. While curb appeal is important, it is my opinion that if you have a limited budget your money is better spent making the improvements described above then doing any major front yard landscaping. Of course, you want to keep it mowed and trimmed. Even a front yard full of weeds can look somewhat presentable if it is kept all the same height. However, consider your backyard more carefully. … In Florida outdoor living is important. 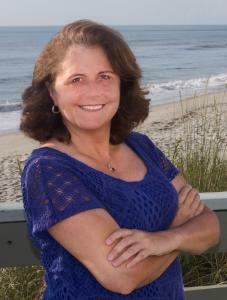 The bottom line is you want a prospective buyer to have an overall good impression of the home. It’s OK that it isn’t perfect, but you don’t want them to remember it as the dated house that has to be completely remodeled! If you live in Brevard County, contact us to arrange for a free consultation of recommended improvements and staging tips of your home.